2016 was a good year for lemurs. Why? 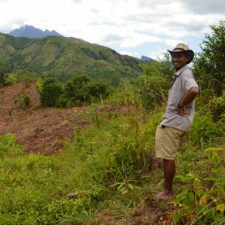 Because many people cared for their conservation and for maintaining them happy and healthy in beautiful Madagascar. 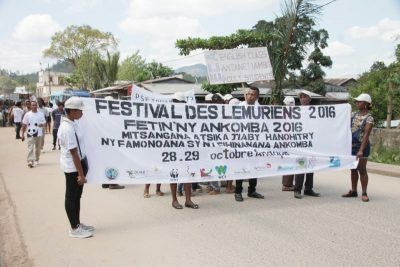 The World Lemur Festival is a series of activities happening throughout the globe in October with the aim to raise awareness for lemur conservation, to celebrate these unique animals and Madagascar and to show people the importance in protecting lemurs and their habitats. 2016 was the third year this festival was celebrated and it had its appearance in Madagascar, Hungary, US, Japan and many more other countries. 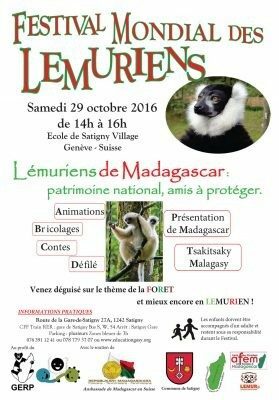 Malagasies are more and more conscious of Madagascar‘s treasures, and this past World Lemur Festival showed it. The capital, Antananarivo (Tana) had several celebrations, but the biggest one was hosted by GERP at Parc Botanique et Zoologique Tsimbazaza. It consisted of three days of conferences, debates, carnivals, discourses and many more activities. 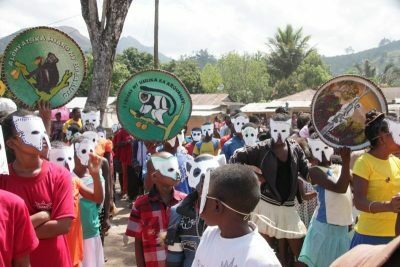 In Sambava and Andapa, the Lemur Conservation Foundation hosted a large festival where more than 1,500 people attended. There were parades, dance competitions, arts contests, lemur trivia and a movie. 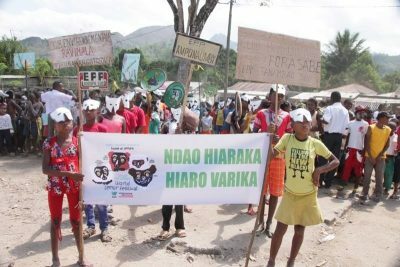 The Madagascar National Parks, WWF and the Duke Lemur Center supported the event. 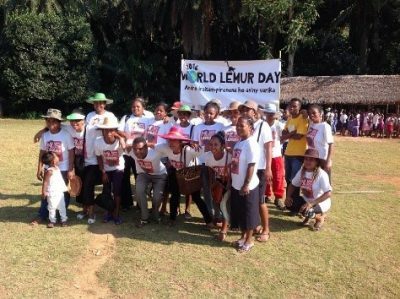 The Madagascar Biodiversity Partnership celebrated lemurs in Kianjavato by a tree planting event. The festival is critical in here because Kianjavato is home to the second critically endangered lemur, the Greater Bamboo lemur. 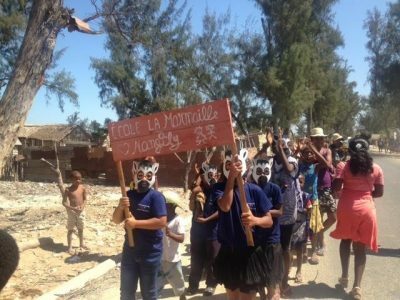 The ONG Reniala with support from GERP hosted a two-day festival in Toliara with the school children and the local population. There was a carnival, interactive activities such as trivia, drawings, dances and music animations. 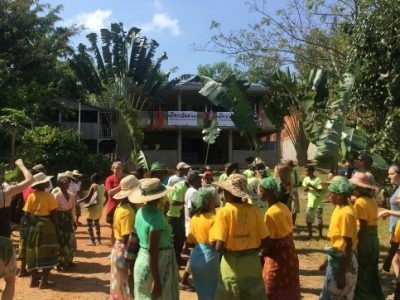 Additionally in Madagascar, there were other celebrations in Ranomafana, hosted by Centre ValBio, in Tamatave, hosted by Madagascar Fauna and Flora Group and finally in Ambinanifanasa, where the Aspinall Foundation celebrated the festival. 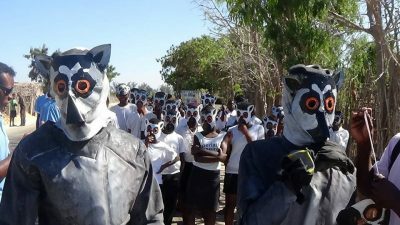 The US was as well pretty active this past World Lemur Festival! In Washington D.C, the Smithsonian National Museum of Natural History shared information with the museum visitors about lemurs and had activities for the kids. 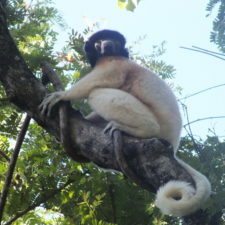 This event was led by primatologists Rachel Jacobs and Elaine Guevara who research lemurs in Madagascar. 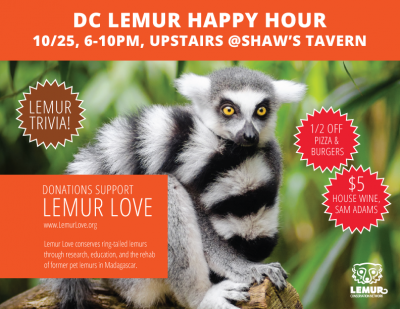 Also in D.C, the Lemur Conservation Network hosted a Lemur Happy Hour which funds ($400!) 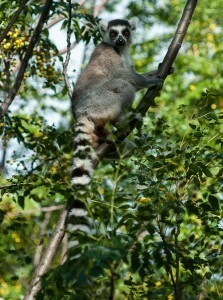 were giving to Lemur Love to support their recent work with ring-tailed lemurs. A lemur trivia and a slideshow of lemur photos were shown at the event. The festival had as well an appearance in the Leesburg Animal Park. The Staten Island Zoo in New York City celebrated lemurs by making with the park visitors, enrichment items for the lemurs, a biofact and education information table and had animal paintings sale for benefit lemur conservation. 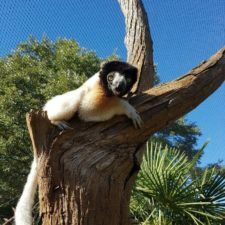 All over to Kansas, the Lee Richardson Zoo had many activities such as jumping as lemurs, a raffle and at the end, the guests donated to the Friends of Lee Richardson Zoo for a new primate exhibit to house lemurs! As I said, the US was very busy this 2016. 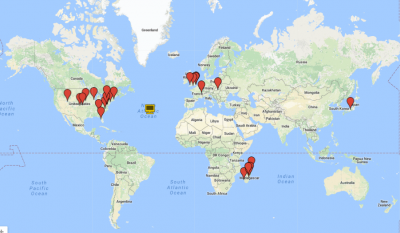 Busch Gardens Tampa Bay, Salt Lake City in Utah, in the Great Bend Brit Spaugh Zoo, Zoo Atlanta, the Northern Illinois University in Dekab, University of Nebraska and the Harvard University are all places where the World Lemur Festival was celebrated. They had many different activities, like painting, trivia, challenges, bake sales, talks, raffles, feeding lemurs, films and many more! The Howletts Wild Animal Park in England had a week of events such as games, education, crafts, raffle and a “lemur experience” for the World Lemur Festival. The raffle proceeds were given to the Aspinall Foundation for their work in Madagascar. 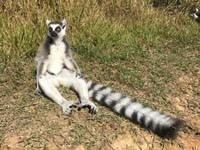 The Lemur Day in Hungary was celebrated at the Miskolc Zoo where they feature several educational activities centered on the ring-tailed lemur family and a females white-fronted lemur and other Malagasy animals. The guests learned about these animals and what they can do to protect them. In Geneva, Switzerland, the “Festival Mondial de Lémuriens” was celebrated in collaboration with GERP and the Embassy of Madagascar in Switzerland in the École de Satigny Village. There was entertainment, crafts, storytelling and may other great activities. 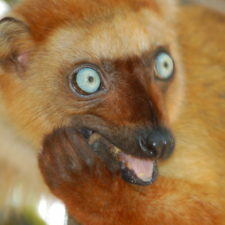 The Japan Monkey Centre joined for first time this year the World Lemur Festival! They had workshops, interactive activities and Rie Akami, the Japan Monkey Center´s curator shared her experience with movies and pictures of her visit to Madagascar and getting to know the lemurs. 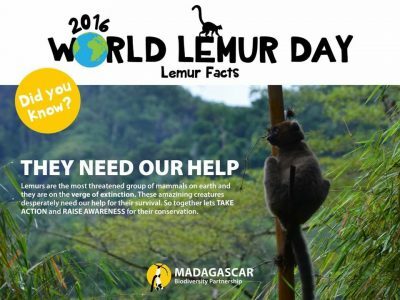 Several organizations held online events for the World Lemur Festival like Lemur Love that had lemur trivia and a lemur photography contest. 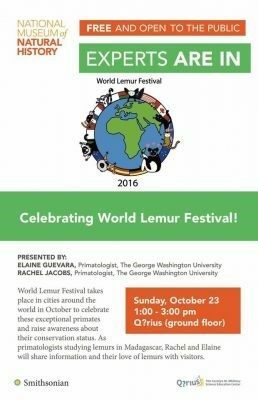 In 2016, the World Lemur Festival was great and a lot of people learned a great deal about lemurs and why it is important to protect them. Let‘s hope this 2017 will be the same or better! 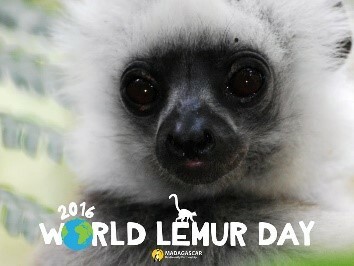 And if you are interested to host an event this next World Lemur Festival, go ahead! We have to join our efforts to save these unique animals and to protect their habitats!